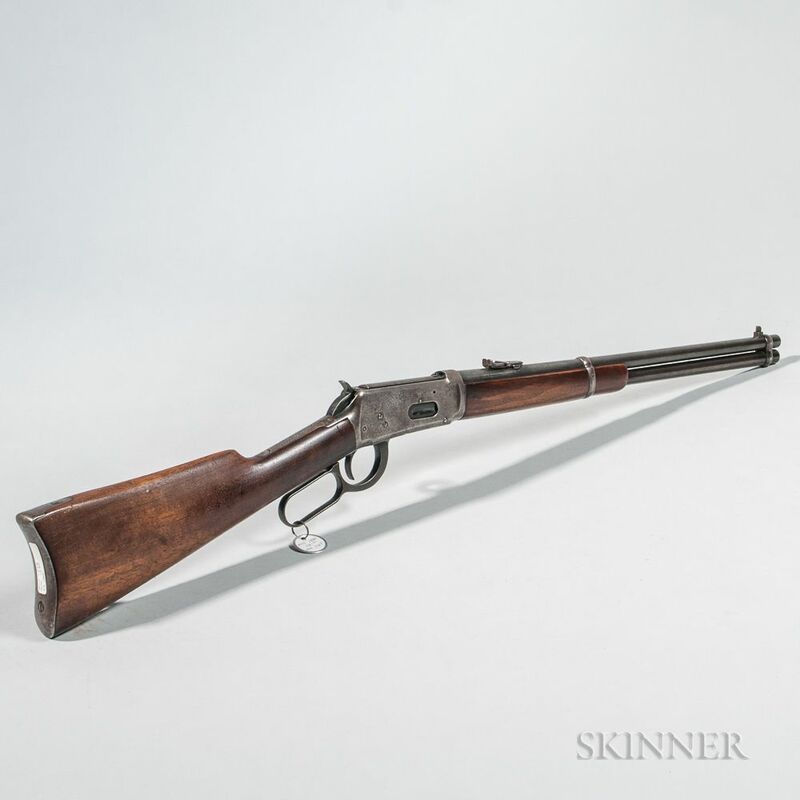 Winchester Model 1894 Saddle Ring Carbine, c. 1928, serial number 1034529, .32 caliber, walnut stock, round barrel marked on the left side "MODEL 94-WINCHESTER-NICKEL STEEL-32 W.S.," barrel lg. 20, overall lg. 38 in. Stock has a few dings and nicks, no finish left on the barrel and receiver, and the action functions properly. The bore is good.